PHOENIX IS A DESTINATION LOCATION, especially during its mild winter, spring and fall seasons. Whether you want to escape the bitter cold and snow of the rest of the country or you’re just ready for some time away just for you, you can’t go wrong golfing in Arizona’s sprawling Valley of the Sun. With impressive golf courses and the special amenities that come with them, you could spend weeks trying out the many courses in the Phoenix metropolitan area and never repeat a course. Many of the best courses have been designed by famed golfers and course designers—it all depends on what you’re looking for. For a list of the many awards these courses have received, check out each website for specifics. If you’re a golf aficionado, you’ve undoubtedly watched television coverage or even attended in person the Waste Management Phoenix Open. “The Greatest Show on Grass” has turned into the largest spectator golf event in the world. The 2015 Open was played on the TPC Scottsdale’s newly-renovated Stadium Course. Originally designed by Jay Morrish and Tom Weiskopf, the 2014 renovation was led by Weiskopf. The project included the relocation of four greens, resurfacing of all greens, reshaping and regrassing of all tee complexes, relocation and reshaping of all bunker complexes, replacement of cart paths, and relandscaping of desert areas. The result is a golf course that’s more aesthetically pleasing to resort guests and strategically more challenging to PGA TOUR players. Just 20-plus miles from downtown Phoenix, the We-Ko-Pa Golf Club and its two courses, the Cholla and the Saguaro sit on beautiful natural Sonoran Desert, land belonging to the Fort McDowell Yavapai Nation. There are no homes, condos or townhomes lining the fairways—you are one with the ancient saguaros in the foreground and the magnificent mountains in the distance. Designed by Scott Miller, the 7,225 yard layout of the Cholla course was named by Sports Illustrated as one of the 10 best new public courses in the world shortly after its debut, quickly becoming recognized as the reference course for quintessential desert golf. Since then, Zagat Survey 2007-2008 gives Cholla its highest rating among all Arizona courses and Golfweek ranks the layout #4 on its 2013 list of the state’s best public courses. The Saguaro course was designed by Bill Coore and Ben Crenshaw to be a more traditional style golf course where greens are close to tees, ideal for walking, and the course follows the natural movement of the land. 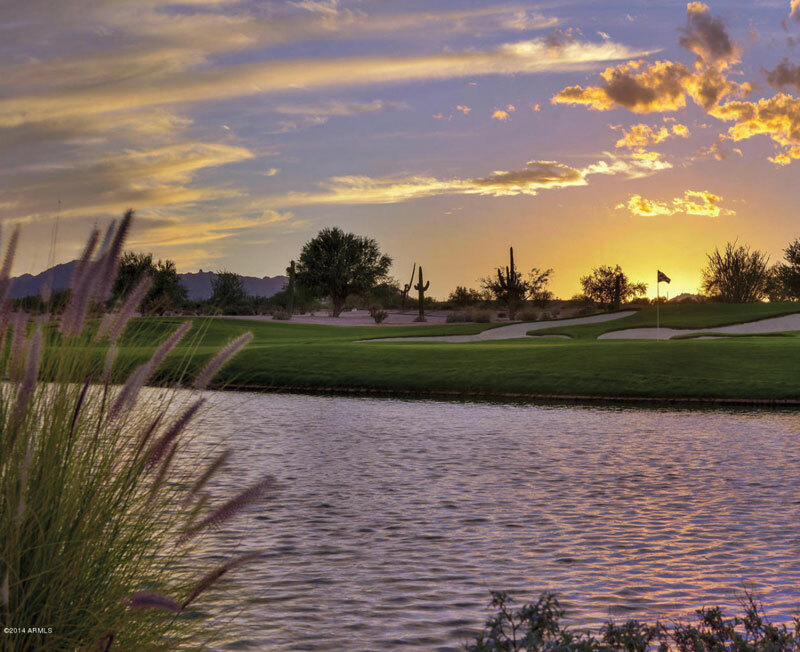 The Troon North Golf Club’s two 18-hole Tom Weiskopf-designed courses, the Monument and the Pinnacle are truly revered as Scottsdale’s crown jewel for the challenge of playing around giant granite boulders strewn across the rugged Sonoran Desert landscape. And the visual sensation of immaculately groomed fairways juxtaposed against piles of rocks and boulders in the shadow of the iconic Pinnacle Peak places these two courses consistently at the top of every golfer’s must-play list. Another visual delight comes from Troon North Golf Club’s certification as an Audubon Cooperative Sanctuary Program.